Once upon a time, Chelsea and the Village jointly boasted some two dozen Spanish restaurants that were cast from the same mold. 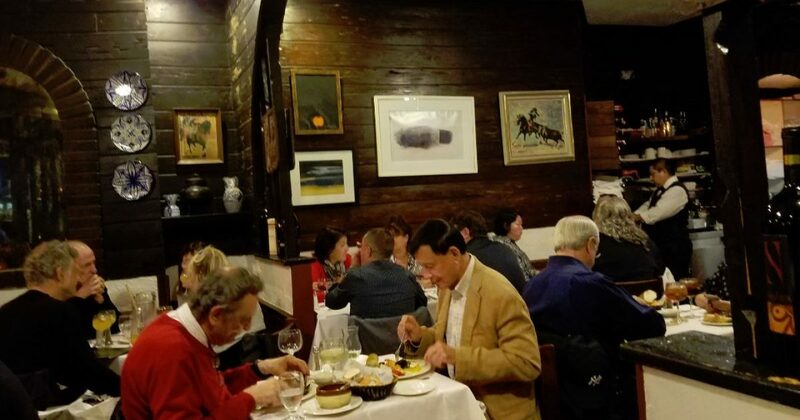 All had encyclopedic menus that included paella, zarzuela, and just about every other Spanish dish you could think of, with the notable exception of tapas, which are now all the rage. 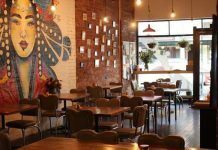 The cookie-cutter sameness of these establishments is not to suggest you couldn’t eat well at them. You could. And you still can by stopping in at El Pote Español, which was born around the same time as the others but somehow survived. 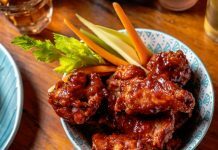 Maybe the secret to the restaurant’s longevity is its East Side location. You enter as if through a time machine to a room decked out with all the familiar trappings: rough-hewn dark wood walls interrupted here and there by smoked-glass mirrors in arches, tables under snowy linen. And then there’s the staff, all male and in maroon vests and neckties. Some of these servers are impatient and don’t have time for your questions about the menu. 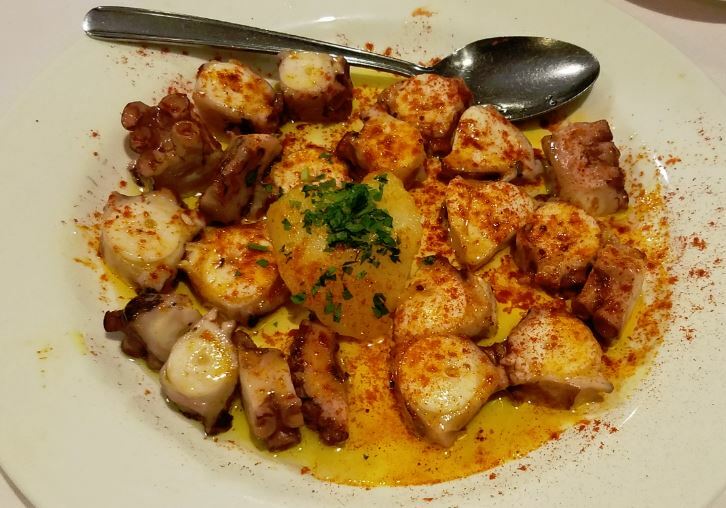 Hurry up before yours walks off and order some pulpo estilo feria, chunks of tender octopus simply dressed with olive, lemon, and a heavy peppering of smoky Spanish paprika. 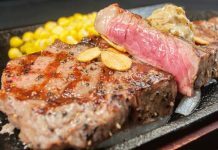 This version of the dish lacks the intensity of the charcoal-grilled variant, which arrive with tantalizing bits of charring, but it’s good for what it is. 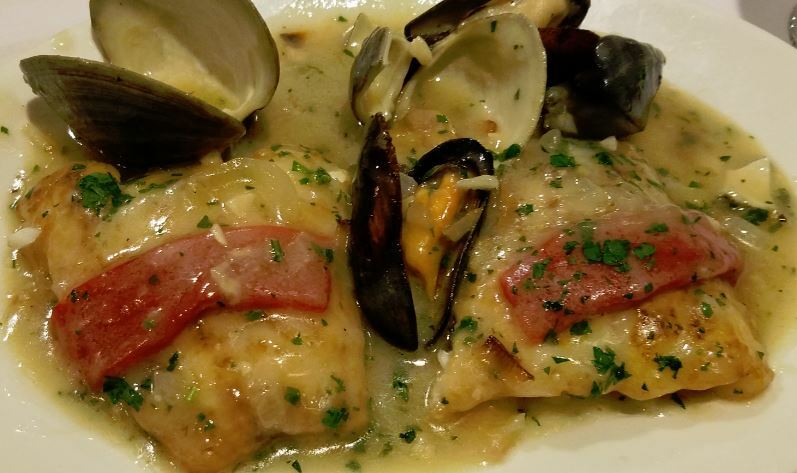 When the catch of the day is cod, catch some, but be sure to have it “a la Vasca,” in a fragrant, thick green sauce with plump mussels and clams, plus lengths of home-roasted pimento. The fish itself is sweet and delicate: something of a triumph for cod. 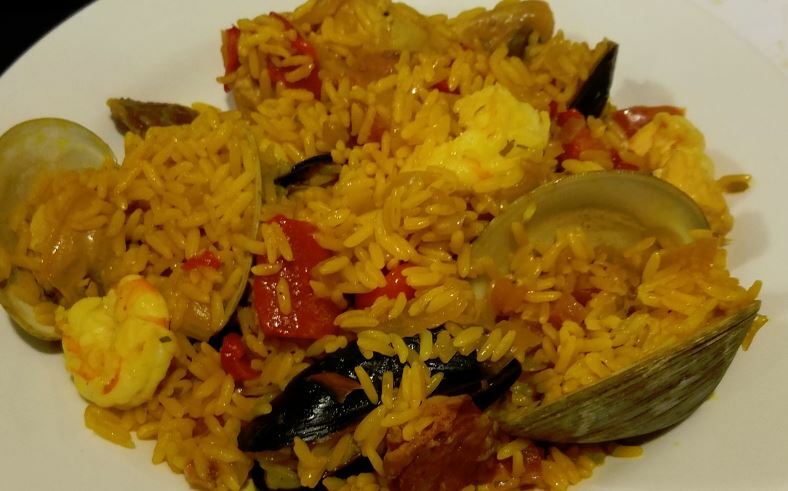 Those clams and mussels turn up again in paella Valenciana, this time with shrimp, chicken, and chorizo. The shrimp, which are slightly tough, need to be rescued from the heat a little sooner, but the real undoing of the dish is the rice, which is mushy and underseasoned. On weekends, the restaurant does a brisk business, and by the height of the dinner hour, the entire dining room is bathed in the intoxicating aroma of fried garlic. 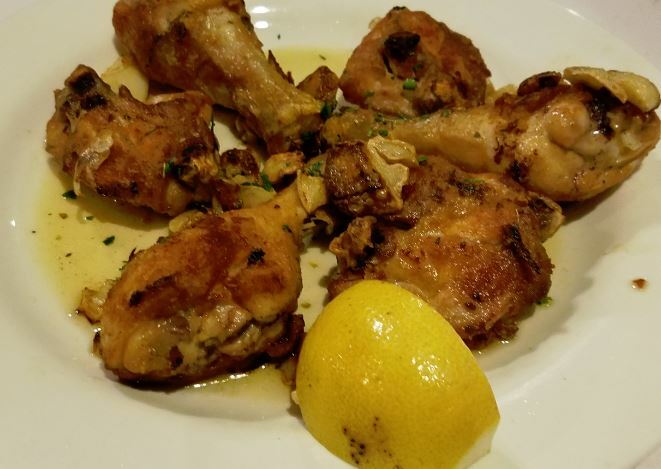 Much of this is occasioned by demands for the house’s excellent pollo al ajillo, chicken drumsticks and thighs gloriously browned, imbued with flavor of the two dozen-or-so cloves of sweet, crusty garlic that lend the dish its name. If you’re going to come here once, this is the dish to have. The baked desserts (tirami-sú, strawberry cheesecake) are acquired from outside and are neither exceptional or exceptionable. The homemade flan in caramel sauce is more authentic: If you’re a fan of flan, you’ll leave happy. With the cocktail renaissance, sangría seems like the fitting beverage of choice. El Pote does a very good one, heavy with fruit and a strong undercurrent of brandy. Prices range from $10.50 to $16.95 for starters, $16 to $34.95 for main courses, $7 to $8 for dessert. El Pote Español, 718 Second Avenue, nr. 38th St., 212-889-6680. Open seven days for lunch and dinner. Major credit cards are accepted.